Pinot noir taste is the stuff of legend. It makes many winemakers dream of making wines from this ancient, noble grape and seduces many more wine enthusiasts. Pinot Noir can be so compelling that it’s not uncommon to hear of wine lovers’ obsession with this charismatic grape variety! What to look for when selecting the perfect Pinot Noir glass. Tasting Pinot Noir starts not only with a nice bottle but also with a good Pinot Noir glass. A clear wine glass will allow you to enjoy the wine’s color. This is important especially as Pinot Noir is classically considered a lighter colored wine. However, the “robe” (as wine geeks might call it) of the Pinot Noir in your glass will depend on its origin (that is, where its grapes were grown) and how it was crafted. If you collect La Crema Pinot Noir, you might notice that a specific vintage’s color will lighten a bit as time passes. (This is true of all black grape varieties, not just Pinot Noir.) Of course, it’s pretty hard to resist popping the corks, so you may never witness this! A Pinot Noir wine glass with an opening that curves into the center of the wine glass will help concentrate Pinot Noir’s aromas. While there are many red wine glasses that are made to work with almost any grape variety and wine style, the classic Pinot Noir glass shape has a wide, more horizontal, bowl to allow Pinot Noir’s smells – which are often more delicate than other major wine styles – to surface more quickly. A thin-rimmed wine glass will allow the Pinot Noir to slip smoothly onto your tongue. (They also tend to look more refined.) Pinot Noir taste is focused on a range of things, from the wine’s body, tannins, acidity, dryness and refinement. Now that you’ve found the perfect wine glass, are you wondering what Pinot Noir tastes like? Read on while you taste! How do you describe Pinot Noir? Most Pinot Noir aficionados’ wine tasting notes would encompass some of the elements below. Again, they will vary based on the winemaker as well as the Pinot Noir region and strains of Pinot Noir used. Of course, the Pinot Noir descriptions above apply to classic Pinot Noir: a still, red wine. However, Pinot Noir rosé is very common, too, and a few winemakers even make still, white Pinot Noir. Pinot Noir is most often found masquerading as a white in sparkling wines. In fact, the biggest grape growing region in the world for Pinot Noir is the Champagne region of France! Is still, red Pinot Noir dry or sweet? It almost always is dry. However, Pinot Noir could be made in a sweet, dessert wine style. It just very rarely is. Taste the distinctiveness of La Crema Pinot Noir. 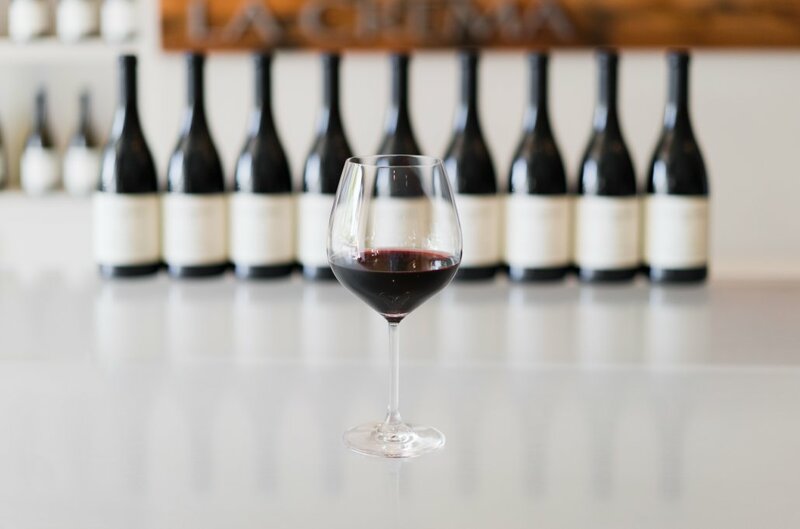 The La Crema Pinot Noir family hails from a diverse set of regions, or appellations, in California and Oregon. Each region has a different terroir (a French word for growing conditions specific to a certain place), which makes very different styles of Pinot Noir. Here are the differences in Pinot Noir styles in just three of the appellations. Pinot Noir flavor is so diverse! Monterey, California: succulent texture with aromas of blackberries, slate and spice. Sonoma Coast, California: plums and mulberries with smoky tones and refreshing acidity. Willamette Valley, Oregon: crunchy red berries with earthy notes and zippy acidity. Wine geeks – and especially Pinot Noir fans – love to dive into the minutiae of Pinot Noir terroir. Pinot Noir is a unique grape in that it is very terroir transparent. That is, it is very easy to taste the differences that result in growing Pinot Noir in different places. Terroir is a word that acts as an umbrella for the many factors that make Pinot Noirs taste differently. Soil, climate, vineyard aspect (which direction it faces), elevation and people are some of the biggest factors. Generally, Pinot Noir tastes best when grown in cool to temperate climates with gentle, fog-filtered morning sun. It also likes to grow on slopes so that each vine has “a view” and receives good wind aeration. There is another element that gives Pinot Noir flavor diversity. Because Pinot Noir is a very old grape variety – its first known written record dates back to 1375 – it has many clones, or types (think of Granny Smith versus Honeycrisp versus Gala apples). Taking three single-vineyard Pinot Noirs from the La Crema range, you can imagine their unique terroir elements make different wines. Check out the links for flavor visuals! 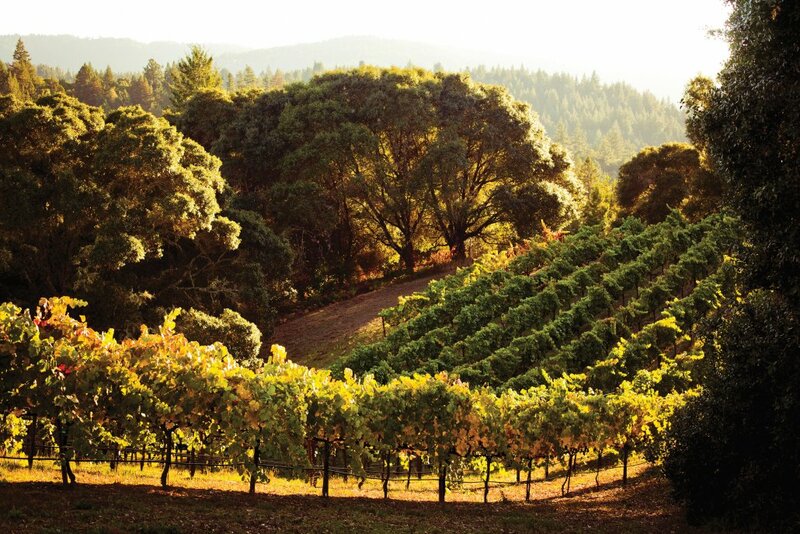 Saralee’s, Russian River Valley, California: Vines grow in gravel, sand and loam and benefit from fog-chilled mornings but very warm and sunny afternoons. Bellflower, Russian River Valley, California: Vines grow in sandy, pebbly soils and enjoy foggy mornings and warm, sunny afternoons. Shell Ridge, Sonoma Coast, California: Vines grow in fine, sandy Goldridge loam, seeing foggy mornings and cool afternoons. Pinot Noir’s taste comes not only from terroir but also from winemaking. Every step counts, especially with delicate Pinot Noir. Pinot Noir grapes are often harvested at night or in the early morning to keep the grapes fresh (think of eating grapes kept in the fridge rather than those sitting on the counter at room temperature for days). Careful selection in the vineyard then again at the winery ensures that only the best fruit goes into your final wine, giving it the freshest essence of the berries. The grape stems are then removed to ensure that no green, woody flavors are transferred into the wine. Though cool on arrival, Pinot Noir grapes are often chilled for a “cold soak” before the fermentation begins. This technique gives the final wine two qualities: deeper color and smoother tannins. Pinot Noir may be fermented in stainless steel tanks or in French oak vessels. Stainless steel fermentations emphasize the fruit character. Oak barrel fermentation preserve a wine’s fruit focus while giving it a fuller mouthfeel. To promote color extraction and tannin development, a wine will be “punched down” or “pumped over”. 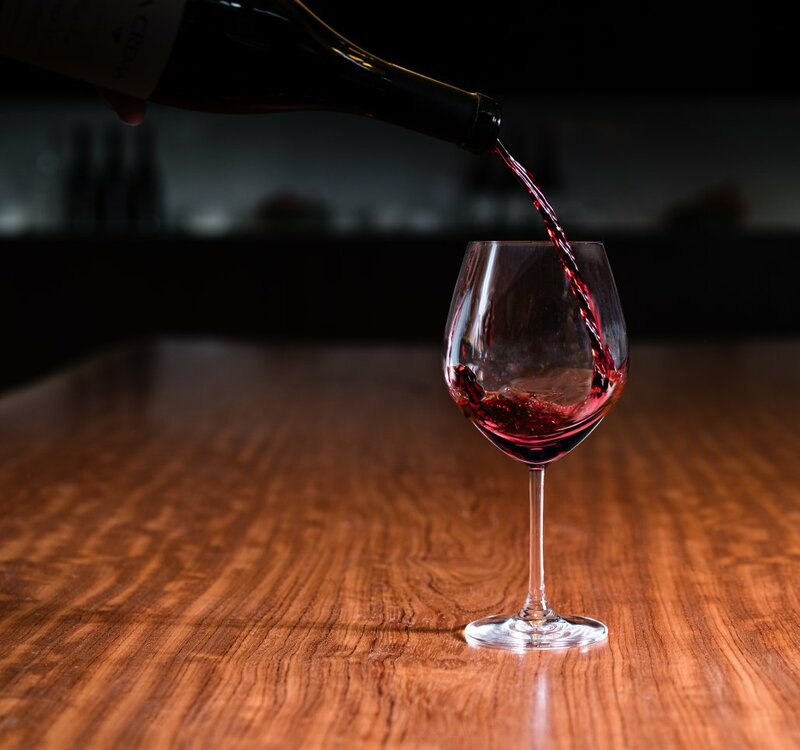 As Pinot Noir is typically pale in color and light in tannins, the more aggressive action of punching down (taking a broad surfaced tool and plunging it into the fermentation to mix up the skins and juice) tends to give Pinot Noir more of both. Pumping over is a more gentle extraction method. After Pinot Noir is pressed off its grape skins, it is traditionally aged in oak for nine to twelve months. Before bottling, the barrels are blended to achieve a specific Pinot Noir taste profile or simply to combine many plots from the same vineyard. 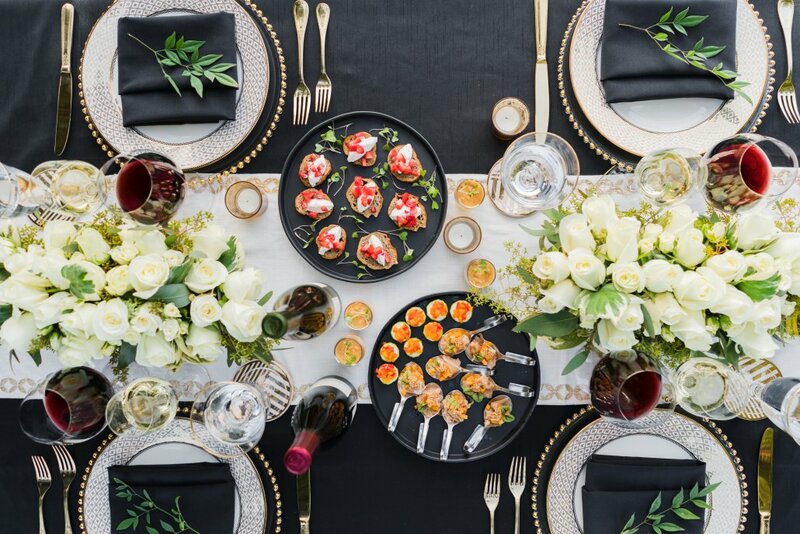 Tips for a perfect pinot noir and food pairing. While we sometimes enjoy wine without food, most of the time, we’re enjoying the duo together. What is so tremendously helpful with Pinot Noir wine pairings is that the grape is very flexible. 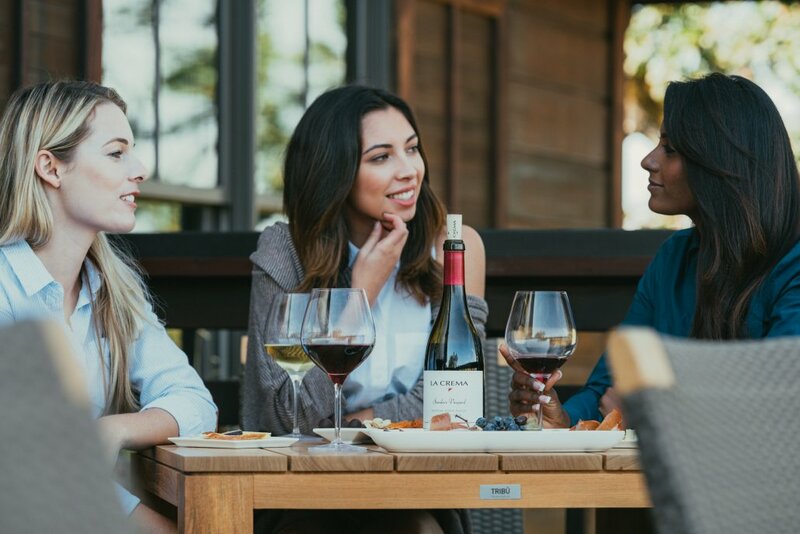 Pinot Noir is one of the easiest wines to pair with food given its racy acidity and easy-going tannins. If you’re looking for ideas for dishes to pair with Pinot Noir flavors, check out the La Crema Blog. We’d love to hear your comments!